NEWTON, Mass.--(BUSINESS WIRE)--Heuresis Corporation, a pioneer of handheld x-ray imaging and analytical devices, today announced it has been awarded a five-year Indefinite Delivery Indefinite Quantity (IDIQ) contract by U.S. Customs and Border Protection (CBP) to provide handheld reflective x-ray imagers, with a value of up to $28.8 million. 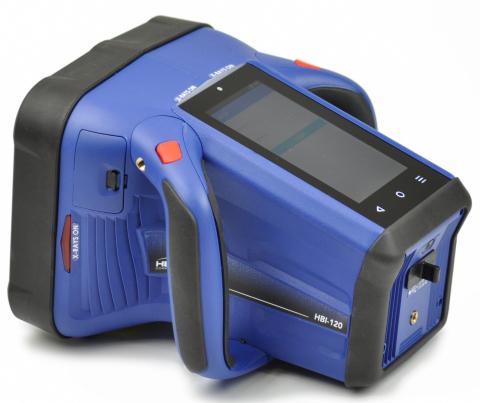 Last year Heuresis was awarded a DHS Science & Technology contract, with a value of up to $4 million, for the development of a next-generation handheld reflective imaging instrument in support of advancing CBP requirements for conveyance and cargo inspection. Heuresis provides enabling security imaging and material identification solutions that help law enforcement and safety inspection professionals keep the public safe from drug trafficking, terrorism and other hazardous threats. Our innovative handheld products, the HBI-120 and Pb200i (for lead-paint inspection), are the recognized leaders in their markets. Heuresis is headquartered just west of Boston, Massachusetts. For more information, visit heuresistech.com.